The 4th Cannabis Collaborative Conference (CCC) brought networking and learning to the Oregon cannabis community. The 4th Annual Cannabis Collaborative Conference had something for everyone, including a legislative update, tips to differentiate your company in a highly competitive market and an overview on consumer cannabis trends. 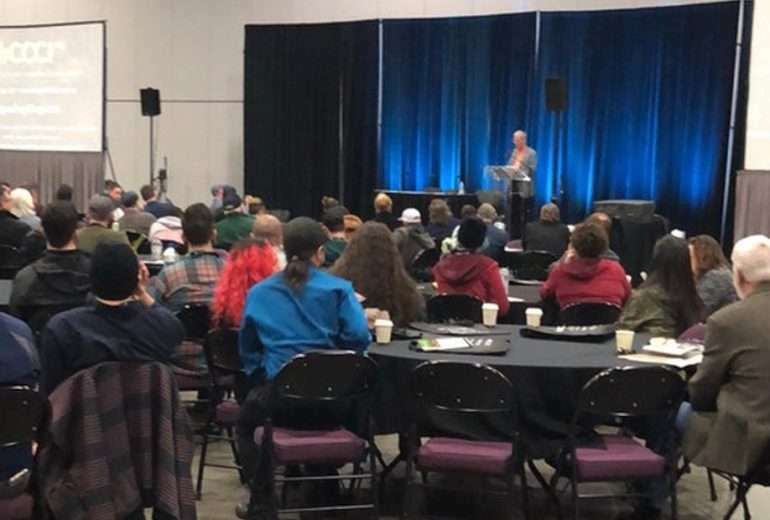 Held at the Portland Expo and targeted to those in Oregon, this conference focused on helping operators manage a profitable business in the current market. More than 120 exhibitors were on hand and on Wednesday, attendees heard from US Congressman Earl Blumenauer about his work legalizing cannabis and the turmoil on Capitol Hill. Blumenauer said he’s spending his time making sure his Democrat colleagues are united in legalizing cannabis and to urge new candidates to take an unequivocal position during their campaign. He also said that businesses who are consumer facing should always have voter registration cards to distribute, as well as “Vote Cannabis” signs as a visual reminder that there is still more work to be done. “We are going to make sure this is a political issue,” he said. David Rheins, founder of the Marijuana Business Association and panel moderator, said that 80 percent of consumers have not been in a legal store and that branding has to happen before they step inside. “Before you get to purchases, you have to have awareness and demand,” he said. Stephen Gold of The Daily Leaf said since many traditional forms of digital platforms like Instagram, Facebook, Google Ads, don’t work for cannabis businesses companies have to get creative. 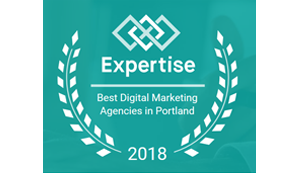 Lucas talked about his agency’s geo-marketing technology that helps target hyper local markets, along with text message marketing. Economist Beau Whitney of New Frontier Data gave an overview of the market on a macro level, saying that the global cannabis market is expanding, even as the U.S. is in a state of flux. Canada is taking the lead in the market with 80 licensed producers and a full adult use program rolling out in July. He says more international expansion will happen this year. “There’s an allure at the state levels and that allure is tax revenue,” Whitney said. “In Oregon, Washington and Colorado combined, $1.3 billion in tax revenue was generated between January 2014 and September 2017. By 2025, he said over one million jobs and $100B in additional federal tax revenue will come from cannabis. When it comes to cannabis companies, he warned audience members that Trump’s tax cuts will impact their business – especially when it comes to investments. He said understanding how different business structures have different benefits will be key, as well as consulting with finance and tax professionals. Due diligence with any buy, sell or merger is also critical. On a more local level, Liz Stahura of BDS Analytics gave CCC attendees some hard numbers as it pertains to consumer trends in Oregon and beyond. She said her company gets point of sale data from certain retailers in Oregon, Colorado and Washington that she did not name. She said that last year in Oregon, adult use sales took off, but sales went down in October and November – a seasonal trend she sees during that time in all three states. Thirty-five percent of adults in Oregon are consumers, which is higher than Colorado and Washington. Stahura said the entire Oregon market – medical and adult use – increased upwards of 27 percent over the same period last year. Adult use on its own went up 46 percent. Oregon consumers bought a lot of concentrates in 2017 – to the tune of $101.7 million but edibles were up there as well at $63.64 million – 35 percent of that being for gummies alone. Flower share is trending down in Oregon – it was 57 percent of sales in 2016 and in 2017 decreased to 44 percent. Stahura, however, said product trends moving into 2018 include pet products, gummies, high end vaporizers, pills and tablets and micro-dosing. New adopters, according to Stahura, prefer micro-dosing, in fact, with a “go low and go slow” mentality. They want simplicity, convenience, and portability. And for these consumers, who tend to be older, she said, retailers are going to need to market accordingly.